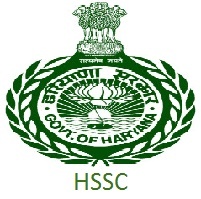 HSSC fire station officer syllabus, sub fire station officer model papers, FSO syllabus in Hindi, study material - Haryana Staff Selection Commission has issued a latest recruitment notification (ADVT No 11/2017) to recruit on fire station officer and sub fire station Officer posts. Candidates who are eligible and interested they can apply online mode by visiting HSSC official website before the last date. Applicants also check other details related to HSSC fire station officer and sub fire station officer recruitment 2018 like how to apply, selection process, model papers and sample papers, FSO syllabus, SFSO Model papers download, and more details given below. education eligibility: Degree in fire or Graduate in science with chemistry or diploma in fire station Officers and instructors course. Education Eligibility: Graduate from a recognized University with minimum 55% marks are equal and cumulative Grade Point Average sub fire officer course from National Fire Service college Nagpur.